Tyndale Theological Seminary is named after William Tyndale. Tyndale was a man used greatly by God in his day. 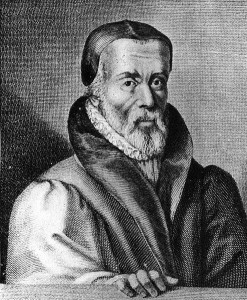 For Tyndale, Christianity wasn’t just a religious observance, but a deep, burning encounter which manifested itself in a holy life. Tyndale also loved the Scriptures. He was committed to translating God’s Word not just from one language to another, but also into the hearts, lives and minds of everyday people. In 1536, Tyndale eventually died a martyr for his faith in Vilvoorde, near Brussels. Two years after Tyndale’s martyrdom, King Henry VIII ordered that a complete Bible in English be placed in every parish church in Tyndale’s native England. Those Bibles were placed there in no small measure as a result of Tyndale’s work. The organization of Tyndale Theological Seminary occurred over many years. 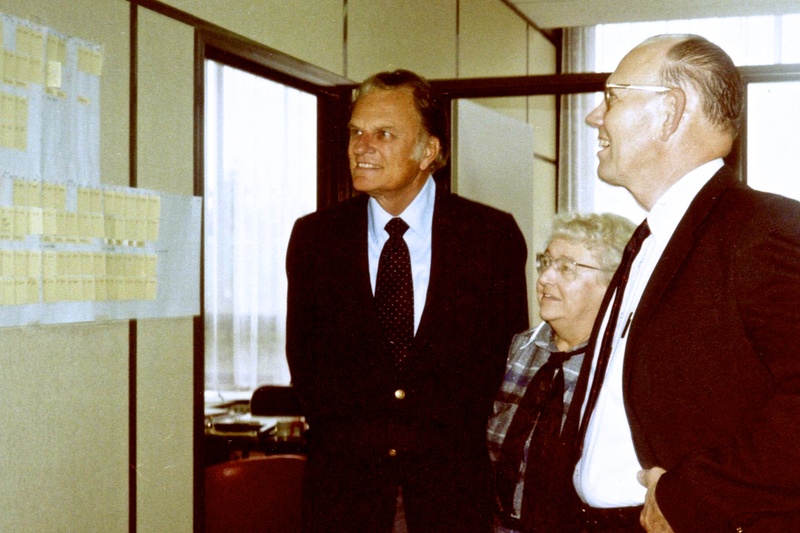 The idea of an international, English-language seminary in Europe was conceived by Dr. Robert Evans during the 1970s. Having founded the European Bible Institute Committee in 1949 (later to become Greater Europe Mission), Dr. Evans was led to prepare a proposal for Tyndale and to seek a president. As a result, Professor Art Johnston of Trinity Evangelical Divinity School in Deerfield, Illinois (USA) and his wife Muriel were asked to give prayerful consideration of returning to the European Continent and becoming part of a new evangelical presence in Europe. That presence would take the form of Tyndale Seminary, an educational institution dedicated to training future generations of church pastors, missionaries and teachers for Christ. Dr. Johnston had been a long-term teacher in the field of missions, and had served as a missionary to France for 20 years. 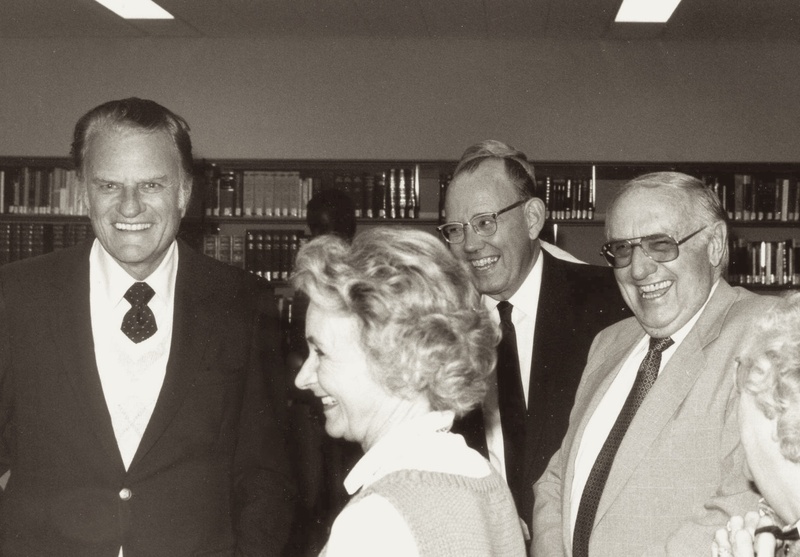 In 1983, Dr. Johnson was appointed Tyndale’s first president. The first classes commenced at Tyndale in 1985. Located in the town of Badhoevedorp (directly adjacent to Amsterdam and the Schipol international airport), Tyndale Seminary welcomed eight graduate students for its first set of modular classes. The seminary eventually purchased its current building and in 2005 built a dormitory that can hold 40 students. The building of the dormitory also coincided with the school’s move away from a modular course approach to having two semesters (fall and spring) with modular courses taught in January and June. Tyndale has developed two main degree programs, the Masters of Divinity and Master of Evangelical Theology. Both programs have been accredited by the European Evangelical Accrediting Association. In 2010-11, the Master of Evangelical Theology was accredited by the Nederlands-Vlaamse Accreditatierorganisatie (NVAO). The NVAO is the official governmental accreditation agency for the Netherlands and Flanders. In 2011-12, Tyndale also received formal recognition as a Dutch institution for higher learning. For the 2016-17 academic year, we had students from over 20 nations studying side-by-side within an intimate learning and discipleship environment. In its over 30 years of service, Tyndale has welcomed students from over 80 nations.